AUSTIN, Texas—As many as 1,200 counties in the U.S. may have only one insurer offering health plans on Obamacare exchanges next year. And 47 counties may not have any insurance options, according to new projections from the CMS. But that's not the case in the nation's most populous state. In California, 11 plans competed for consumers in 2017 and the state has been known to turn away insurers because of high prices and inadequate networks. So while there's considerable hand-wringing in such states as Alabama, Iowa and Ohio, California serves as a bit of a shining example of an insurance exchange gone right. Whether the state can sustain the momentum if elements of the Affordable Care Act are repealed remains to be seen. California's uninsured rate fell from 17% before the ACA to about 7% today. Half of the uninsured are undocumented immigrants and not eligible for ACA coverage, meaning the uninsured rate is closer to 3.6%, one analysis shows. "California has in essence reached virtually universal coverage," said Peter Lee, executive director of the state-operated insurance exchange, Covered California, during a session earlier this month at the 2017 AHIP Institute and Expo in Austin. "We've done that in an individual market that has actually kept premium increases at historically low levels. We've done that with a very competitive marketplace." Medicaid expansion, cost-sharing subsidies and a big marketing budget are keys to the state's success. The average rate increase for 2017 was 13.2%. In 2016 and 2015, rates rose just 4% and 4.2%, respectively. Covered California has not yet published health insurers' rate requests for 2018. 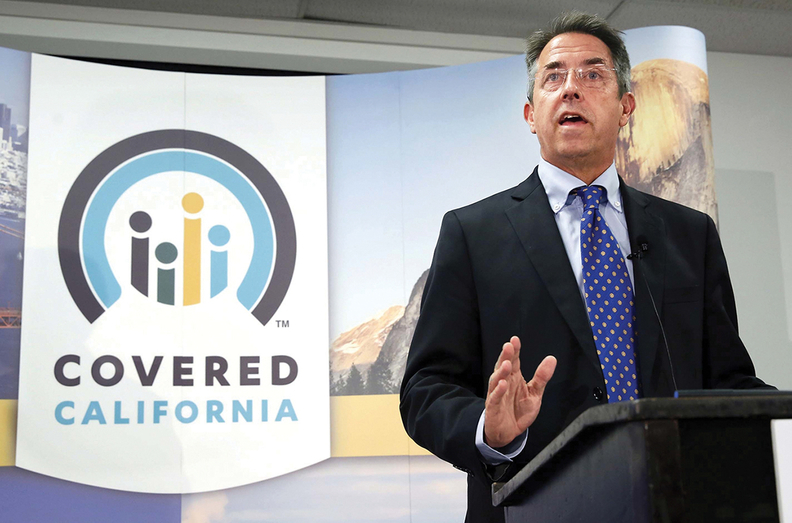 California enjoyed some built-in advantages compared with other states when it came to running an insurance exchange, said Larry Levitt, senior vice president at the Kaiser Family Foundation, who was not part of the AHIP session. He said state officials and large insurers, such as Kaiser Permanente, supported reform. The state also received significant federal grant dollars. But Covered California also took steps to ensure success. "It's sort of a combination of nature and nurture," Levitt said. Key to Covered California's success was the state's decision to expand Medicaid, Lee said; 1 out of 3 Californians under the age of 65 are on Medicaid. The ACA allowed states to extend Medicaid to adults with incomes up to 138% of the federal poverty level. A few studies have shown that states that expanded Medicaid had lower marketplace premiums. That's because lower-income individuals with higher rates of illness, and thus higher medical spending, were taken out of the exchange risk pool and those costs were shifted to Medicaid. Covered California spends more than $100 million annually on marketing the exchange to consumers. The marketing budget comes from a premium tax the exchange levies on health insurers. The average consumer in the state is exposed to a Covered California ad in print, radio or television about 49 times a year, Lee said. "If you don't market and sell, you don't get a good risk mix," he said. During the last few weeks of the 2017 open enrollment, the Trump administration pulled back on enrollment outreach. Experts say the move likely dented ACA exchange enrollment, which fell to 12.2 million in 2017 from 12.7 million the year before. The exchange also standardized the benefit designs of plans offered on the individual market. For all people enrolled in silver plans or above, outpatient care isn't subject to a deductible. Consumers can make apples-to-apples comparisons and shop based on premiums, out-of-pocket expenses and whether their doctors are in the plan's network, Lee said. But the cost-sharing reduction subsidies are "the secret sauce" to why there are very few uninsured in California, Lee said. "The reason people buy coverage that they didn't before is because they get financial help to do it." Funding for those federal subsidies, which help low-income Americans afford coverage on the exchanges, hasn't been guaranteed by the Trump administration for 2018 or even the rest of the 2017, creating uncertainty that has led some insurers to hike 2018 rate requests or pull out of certain markets. It's "crazy" that funding for the subsidies is in question, Lee said. Covered California's low rates will jump if the Trump administration doesn't agree to fund the subsidies by mid-March. At that point the state's exchange, which required insurers to submit two sets of rates—one that assumes funding for the subsidies and one that does not—will go with the worse-case-scenario rates, Lee said.